If you are a singer/songwriter, artist, or producer, there is no other strong asset that can guarantee you long term success except your hit songs. You have read stories of successful songwriters making a good living out of their hit songs. And even a single hit song can really have a big impact on the songwriter financial lives. The problem is that hit songs do not come naturally and is rare to find. Only a small percentage of released singles could actually become long term hits. Below are some of the proven techniques for producing hit songs that are observed from the songwriting legends like Bob Dylan and Paul McCartney, as well as many others. If you like to produce hit songs, then you should try the following tips below. 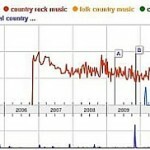 The percent probability of producing hit songs is VERY rare. For example the Beatles has around 54 hit songs in their entire career, yet the Beatles wrote a total of 275 songs. And take note that this 20% hit song percentage comes from the collaboration of two songwriting legends (Lennon/McCartney). For single songwriters, you should expect a lesser percentage. The point is that if you are an aspiring songwriter and frustrated that no one accepts your songs, check how many songs you already written. 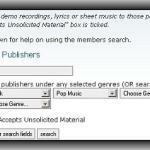 If you only wrote 5 songs; then do not expect you already have a hit song out of your very small catalog. You need to write more songs, to increase the chances of writing a hit song. Based on a 5% probability (average to exceptional songwriter), you need to write at least 20 original songs to score at least a single hit song. Legendary writers know this secret; it is why they write so many songs in their entire lives. Paul McCartney has around 500 songs written. And if you look at the catalog of big music publishing companies they have thousands of songs, yet only a very few of them are hits. Since tip#1 told you to write as many songs as you can, there is still no excuse for poor quality. 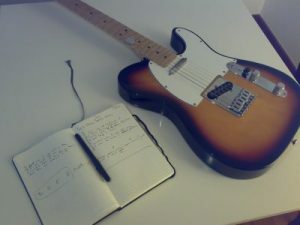 Exceptional songwriters and composers spend a LOT of time crafting even a single song. Some of them can even complete a single song in 2 weeks time or even more. You need to put more emphasis on quality when writing songs. Focus on the lyrics, story, melody and the hook of the song (what the listener should remember always, this is often the melody of the chorus). Despite the genius and true legend of Beethoven; he only wrote 9 symphonies. Why? Beethoven always revises those symphonies over and over again until it sounds perfect. Beethoven is not after the quantity he wrote, but the quality of his musical output. After so many years, Beethoven nine symphonies are highly regarded as the finest musical achievement ever made. The secret: be a perfectionist. If you are writing songs, make sure you are using the above chord sequences; it will substantially increase your chances of writing hit songs. Some rare tips in hit songwriting are testing the strong of the hook. Some songs you have just listened today may not be memorable in the next day. If songs have some melodies and words that stick on your mind longer, then it has the qualities of a hit song. One of the reliable tests is to sing your song to a child (7 years old at most). Play it a couple times (once every day for two days) and observed how the child remembers the song each time when it’s being played. The final test is that after a couple days; let the child sing the chorus tune. If the child could remember the tune perfectly then you have just wrote a hit song. Legendary songwriters wrote songs by themselves, influenced by a lot of factors such as the society, culture, etc. One problem with songwriters today is the lack of originality; the theme of the song repeats over and over again from one songwriter to another. To be original, just be yourself and wrote what you really write to share and relate. Being original lets you easily find your unique selling proposition and would be tremendous help in marketing your music. Kurt Cobain wrote some of the finest songs in Nirvana. Inspired by anger, loneliness and even by his own personal problem; he express all of them in writing and that what make his songs unique and outstanding. You can easily distinguish Nirvana songs from the rest of the artist. The key is to be unique. Bob Dylan is the voice of the 60’s; if you understand the lyrics of his songs, it would convey a lot of information about the politics and culture on that time. It is why his songs have some value in people lives.